Varroa Mites are small, reddish-brown tick like pests that feed off the hemolymph (blood) of the bees. The exposed wound their bites leave make the bees easily susceptible to infections and viruses. Treatments will reduce the mite population but the real threat of winter loss is the viruses that persist after mite treatment. It takes two to three generations of brood rearing to reduce virus levels. Late fall treatments do not allow sufficient time for the development of healthy bees to take the colony through winter. The best time to deal with mites is late August/early September depending on your location to help get your hive ready for winter. 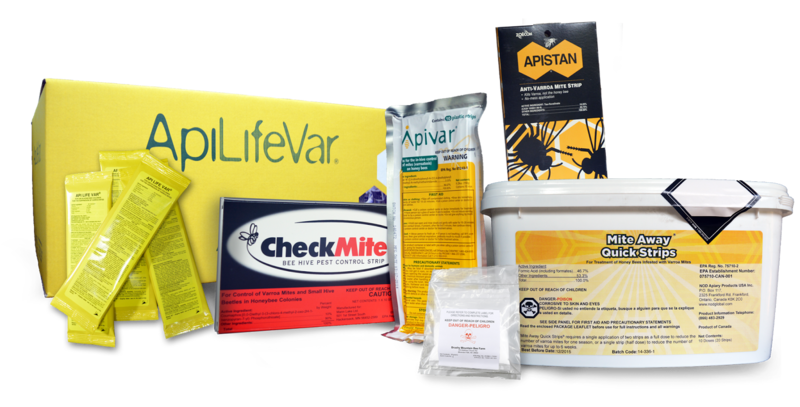 Before you start going out and buying medication, though, you should perform a mite count to assess the mite levels of your hive. You want to have a true understanding of the mite population to know if treatment is necessary. Having a hive free of varroa mites is a rarity, therefore, it is always best practice to apply a treatment to the colony(s) to knock back the mite population before winter. Coat the gridded sheet with petroleum jelly or cooking spray to make the surface sticky. 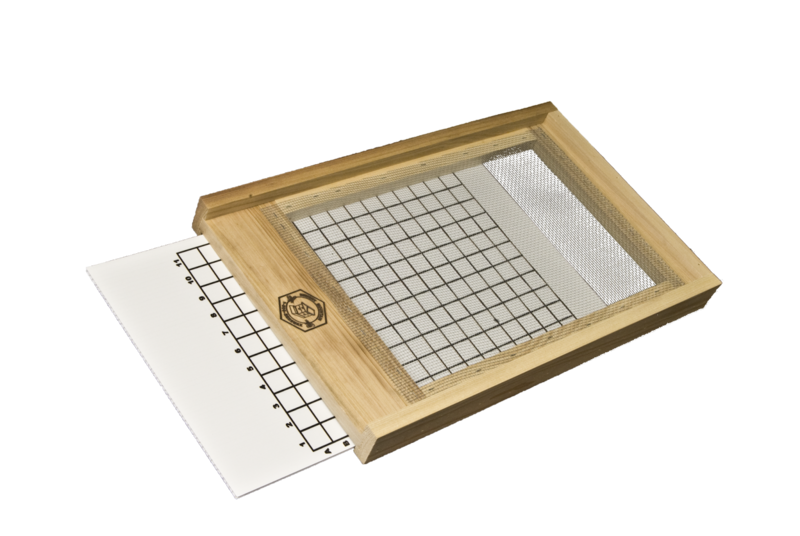 Insert into the groove underneath the screen of the bottom board and leave there for three days. After three days, remove the gridded sheet and count how many mites you spot. Divide that number by three and that will give you an average daily count. During the Fall months, if your average daily count is around 50 or more you will want to look into some form of treatment to help keep it under control. Fill a mason jar with around 2 tablespoons of powdered sugar and then about 300 bees (roughly 1/2 cup). Put the lid on the jar and gently tumble until the bees are fully coated in the powdered sugar. The sugar will coat the bees and loosen the grip of the mites. Replace the Mason jar lid with an 8 or 5 mesh hardware cloth and shake the excess powder from the jar onto a white surface to help with counting (paper plate works great). The mites that lost their grip will fall out with the powdered sugar. Empty the bees back into the hive. Spray the sifted sugar with water to dissolve the powdered sugar so you can have a clear view to count the mites. If you count 10 or more mites after your test then you will want to treat. Your ultimate goal is to control the varroa population throughout the year so they make as minimal impact on the hive as possible. SOFT CHEMICALS: An effective treatment while leaving the least amount of residue. We offer MiteAway Quick Strips and Api Life Var. Both are 95% effective. They work through the evaporation of essential oils or organic acids, thus making them weather sensitive. Many in the scientific community strongly encourage the use of “soft chemicals”. Another soft treatment that has been growing in popularity is Oxalic Acid. Having been a popular treatment in Europe and Canada for years, it has recently been approved in the United States. It is a naturally occurring acid found in plants and honey. The efficacy of this treatment is in excess of 95%. HARD CHEMICALS: Will kill Varroa Mites but label instructions must be followed and do not leave on longer than recommended. We supply Apistan Strips, Check Mite Plus, and Apivar. Bees have been known to build up a tolerance to these treatments. Perform a mite count after treatment; do not assume it was effective. 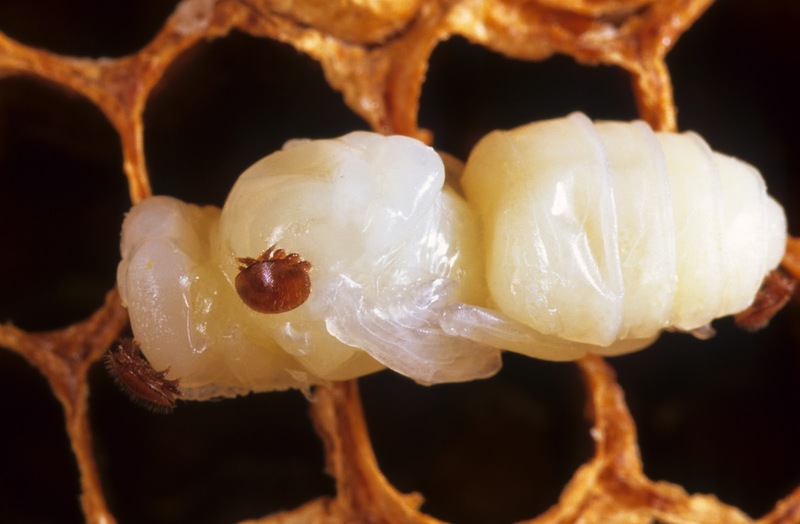 NON-CHEMICAL: The Varroa reproduction is directly tied to the bee reproduction cycle. Because drones are capped longer as brood, the Varroa are more attracted to drone brood where they can lay more eggs. Using Drone Foundation or a Drone Frame, you can wait until the brood is capped, remove and freeze the foundation. DRONE FRAME MUST BE REMOVED ONCE BROOD IS CAPPED. Non-chemical or IPM techniques can be effective to control mites; however, they require dedication and time to be successful.